Disney has finally unveiled its video streaming service dubbed Disney+ that will be launched with two new Marvel series and a Star Wars series. 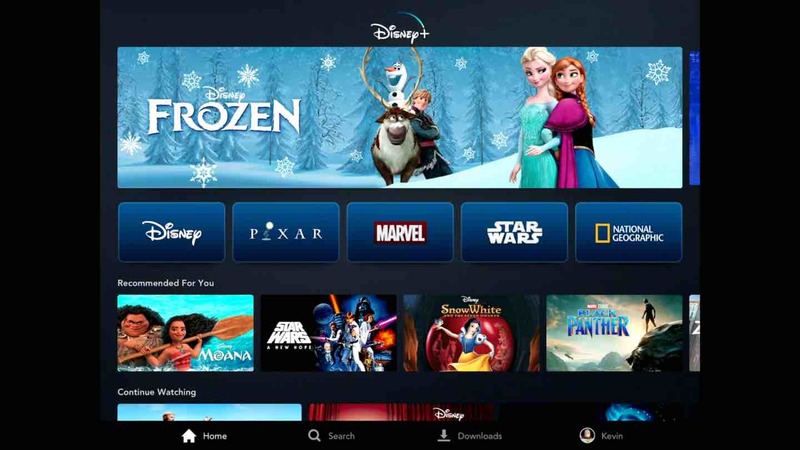 Kevin Mayer, Disney’s head of the direct-to-consumer unit, officially announced the streaming service and also demonstrated the app interface for investors. Disney+ will roll out on November 12 this year, and you can subscribe to the service for $6.99 per month or $69.99 per year. Disney has aggressively priced its streaming service considering Netflix’s Standard tier plan costs $12.99 per month in the US, Amazon Prime’s subscription costs $12.99 per month, and for the Disney-owned Hulu, you need to pay $11.99/month. On the other hand, Apple has not unveiled the subscription charges for its recently-launched Apple TV+ streaming service. Disney+ will be available on web browsers, mobile devices, gaming consoles, and smart TVs. Moreover, Mayer also announced that Disney has already partnered with Sony and Roku to make the service available on their respective platforms. Disney+ app interface looks similar to Netflix with recommended content, genres, and new movies and TV series displayed on the homepage. As the interface has revealed, there will be content from Disney’s different franchises, including Pixar, Disney, Marvel, Star Wars and National Geographic. Disney has confirmed that it will be launching two new Marvel series involving Avengers characters — “Falcon & Winter Soldier” and “WandaVision.” An animated series called “What If” that will “take pivotal moments from the MCU and turn them on their head,” will also be available. Entire Star Wars series and Pixar films will be available within the first year. We already know that a live-action Star Wars series titled “The Mandalorian” will be launched. Disney+ will exclusively stream The Simpsons, and the company is also working on a couple of original movies and TV shows. Will Disney+ pose a challenge to Netflix? Disney’s SVoD (Subscription Video on Demand) will indeed pose a challenge to Netflix and Amazon Prime. However, we are not expecting the vast content library that is available on Disney+ competitors. Nonetheless, Disney’s library is enough to entice Marvel and Star Wars fans. What do you think about Disney+ streaming service? Tell us in the comments below. Hey Buddy!, I found this information for you: "Netflix Competitor Disney+ To Launch On Nov 12 For .99 Per Month". Here is the website link: https://hacknews.co/tech/20190412/netflix-competitor-disney-to-launch-on-nov-12-for-6-99-per-month.html. Thank you.